From an employer standpoint – research has shown that when employees are able to show their personality in their space, they feel more connected to colleagues and their work leading to higher rates of retention. This isn’t exactly a super fun way personalize your workplace but it’s basically a necessity to allow you to do so. Raising your monitor(s) up off your worksurface by using a product like the M8.1 Monitor Arm gives you plenty of room for activities! Having the trendiest patterned mousepad around will get your co-workers talking about how boring their mousepad is. You can get this one from Amazon for less than $7! I am constantly writing down notes and to-dos so stationary is a must for me! Why not accessorize with some TOTALLY EXTRA patterned stationary. 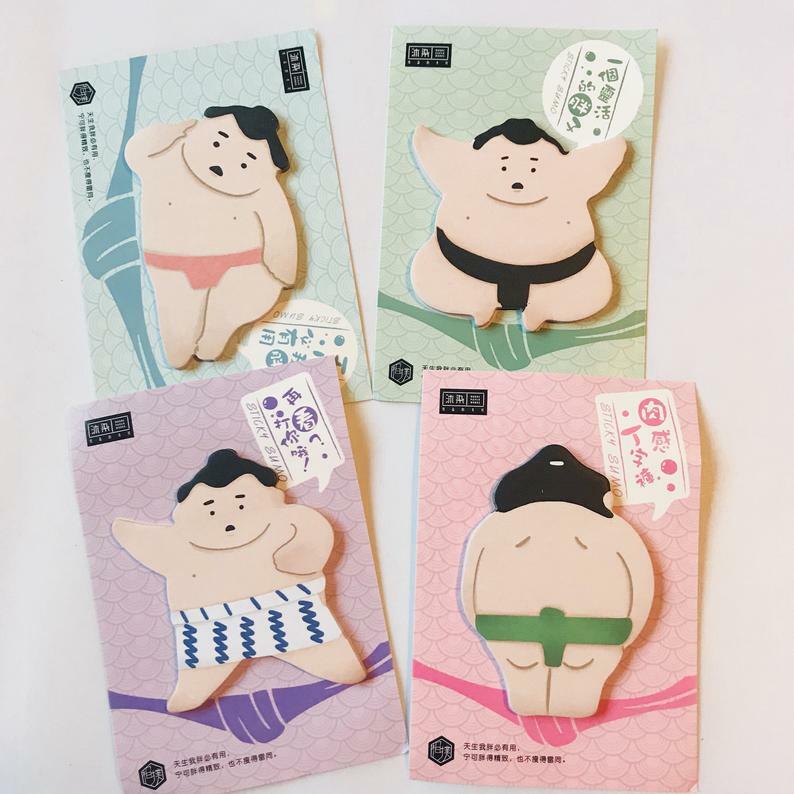 Everything from notebooks to sumo wrestler sticky notes like these! Speaking of stationary; the Haworth Belong work tools provide the perfect holding spot for all your new fun products. People, pets, abstract art, inspirational quotes; nothing shows off your personality quite like pictures in my opinion. You can find lots of free printables that you can frame yourself, or look to Etsy for cute signs like this. Just a word of warning - don’t go overboard. We all know how quickly crumbs accumulate between your keys and on your desk surface. Rather than using canned air which just pushes crumbs around, why not have a hand-dandy desk vacuum! These Pixio desk lamps from Haworth bring new meaning to making your desk ‘lit’. Phone chargers are so 2018. 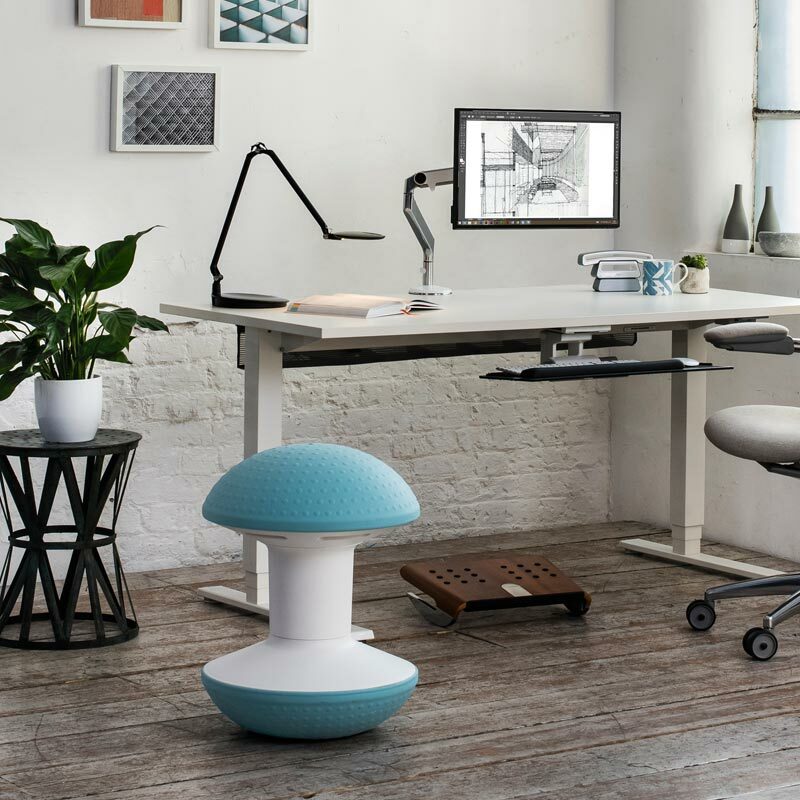 Let’s be 2019 EXTRA and bring the wireless technology to your workspace. No more forgetting your phone cords or needing an adapter... You simply place your phone on top of the charging dock and VOILA, your phone is charging. This is a new trend in the office at ISCG and we are loving it. Finding inspirational, trendy pattern, seasonal themed backgrounds add a little extra pizazz to your desktop. Design-Milk posts a new desktop wallpaper every month that is downloadable for all different size screens. Can’t forget about the TOTALLY EXTRA desktop wallpapers you can find on Pinterest also!